Effective June 1, 2017, portions of the D.C. Superior Court Rules of Civil Procedure were updated to mirror the current version of the Federal Rules of Civil Procedure. Many of these changes were purely stylistic or organizational, but a number were substantive and will have a major impact on how cases are litigated in D.C. Superior Court. One of the most important changes to the DC Rules could be the revisions to DC Rule 26(b)(1) and (2), which now emphasize proportionality in defining the scope of allowable discovery. DC Rule 26(b)(1) defines the scope of discovery in general. Under the prior version of that rule, discovery was allowed for “any nonprivileged matter that is relevant to any party’s claim or defense […].” The definition of the scope of discovery did not include an explicit limit based on proportionality. Instead, other sections of the prior version of DC Rule 26 limited the amount of discovery allowed based on proportionality. DC Rule 26(b)(2)(C)(iii) required that the court limit discovery where “the burden or expense of the proposed discovery outweighs its likely benefit, considering the needs of the case, the amount in controversy, the parties’ resources, the importance of the issues at stake in the action, and the importance of the discovery in resolving the issues.” DC Rule 26(g)(1)(C) required that an attorney seeking discovery certify that the discovery sought is “neither unreasonable nor unduly burdensome or expensive,” based on factors similar to those in DC Rule 26(b)(2)(C)(iii). As explained in the comments to the corresponding Federal Rule, the separation in the rules between the definition of the scope of discovery and the proportionality limits led to proportionality being ignored or de-emphasized. Rule 26(b)(1) has also changed the language that allows for the discovery of evidence which is inadmissible at trial. Under the old version of the rule, relevant but inadmissible information was still discoverable if such discovery appeared “reasonably calculated to lead to the discovery of admissible evidence.” The more straightforward standard that “[i]nformation within this scope of discovery need not be admissible in evidence to be discoverable” should now be applied. According to the comments to the corresponding Federal Rule, the reason for the revision was that parties were using the phrase “reasonably calculated to lead to the discovery of admissible evidence” as the de facto standard for what evidence was discoverable. This revision, as with the ones discussed above, reinforces the fact that discovery should be limited by the concerns of proportionality. DC Rule 26(b)(1) was further amended to remove some additional language that, according to the same comments, was deemed superfluous. DC is currently the only local jurisdiction to have adopted the Federal changes described above. The discovery rules in Virginia and Maryland, while different in format, track closely to the prior version of the corresponding Federal Rule. Both Virginia Rule 4:1 and Maryland Rule 2-402 include very similar definitions of what is discoverable, as well as what limitations on discovery exist. Neither the Virginia Rule nor the Maryland Rule includes an explicit proportionality requirement in the scope of discovery, and both rules maintain the “reasonably calculated to lead to the discovery of admissible evidence” language that the comments to the corresponding Federal Rule found problematic. The reemphasis on proportionality in the DC Rules may offer an important tool for litigators attempting to rein in the growing costs of discovery. A number of Federal courts applying the new Federal Rule have explained that the emphasis on proportionality has made it easier to challenge the scope of discovery. See Crystal Lakes v. Bath & Body Works, LLC, No. 2:16-CV-2989-MCE-GGH, 2018 WL 533915, at *1-2 (E.D. Cal. Jan. 23, 2018) (discussing the intent of the changes to encourage judicial limits on discovery); see also United States ex rel. Shamesh v. CA, Inc., 314 F.R.D. 1, 8 (D.D.C. 2016). Some courts have even gone so far as to find that the party seeking discovery now bears the burden of proving the request is proportional. See Crystal Lakes v. Bath & Body Works, LLC, No. 2:16-CV-2989-MCE-GGH, 2018 WL 533915, at *2 (E.D. Cal. Jan. 23, 2018) (discussing the split in decisions). The full effect of these changes will not be known for some time, until case law on the subject fully develops. 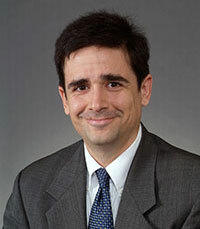 Christopher Taggi is the Firm’s managing member. He represents nationally-known home builders, general contractors, commercial owners and developers in all phases of their operations, from contract drafting, to risk management, to litigation and dispute resolution. 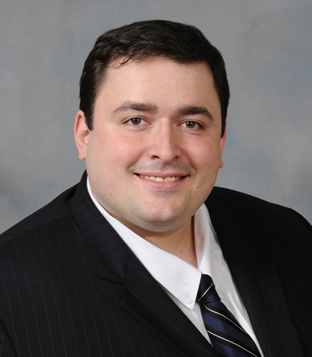 Robert Pratt is an associate in ASM’s Government Contracts and Construction groups. He has experience in bid protests and claims, construction litigation, and insurance recovery.